This summer I am going to be living in dresses and mini skirts and am all about prints and statement looks. 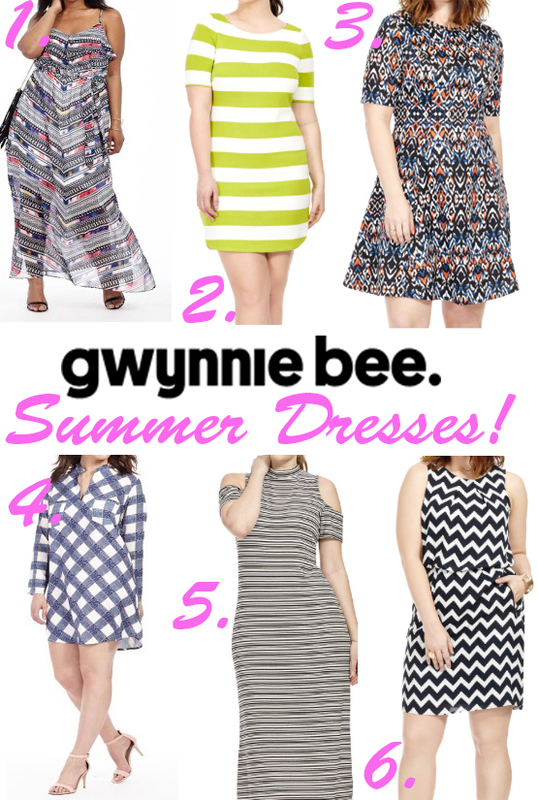 On the hunt for the perfect summer dresses I used Gwynnie Bee for the first time! For those of you who are not familiar with the brand, Gwynnie Bee is a subscription-based clothing rental service for women sizes 10-32. Basically the gist is that for a monthly fee you add clothing items in your account that will be shipped directly to your house. You then can wear and swap out those items throughout the month. For my first box I wanted to try out some different summer dress options. When I got my box last week and tried on the first stripe dress I pulled out, I immediately fell in love with it. I got it in a size 1x and at a size US 16 it fit perfect! For styling of the perfect summer stripe dress I paired with a contrasting light weight camo print jacket. I wanted to accentuate my waist so I added a bold black belt to draw the eye in. Since I was already mixing prints and have a statement necklace I wanted to go with toned down shoes and purse. For a casual date night looks to workwear essentials Gwynnie bee has you covered! Below are some of my favorite looks available on the site now. Click through to shop how I styled my look!